As I jump from one platform to another, I quickly stop to light up the surrounding area to be sure I am headed in the right direction. Once I am sure I know where I am headed, I relax and begin to take in the sights of the trip, only pausing on occasion to ensure that I am not missing anything of interest. Add in a puzzle every so often and the result is Candleman. In Candleman, players don the role of a local candle instead of the usual human or animal avatars. 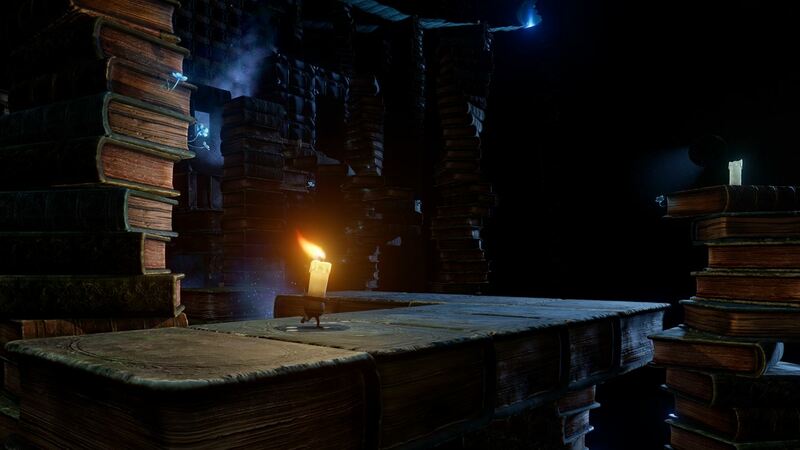 As a candle, players can light themselves on fire for up to 10 seconds to guarantee a safe jump, solve a puzzle or to look for collectibles, which surmises the bulk of the game. Spotlightor Interactive takes their initial idea of a candle that can light itself for 10 seconds per level and runs with it. Their novel idea expands over the course of the game, as puzzles and platforming sections implement light into their design. Spotlightor Interactive shows from the beginning that they have a unique idea; the only question in my mind as I started my journey was if they could expand their base idea in clever ways? The narrative – Candleman seems to be a simple fairy tale about a candle who finds inspiration in a nearby lighthouse and aims to travel to see his hero. 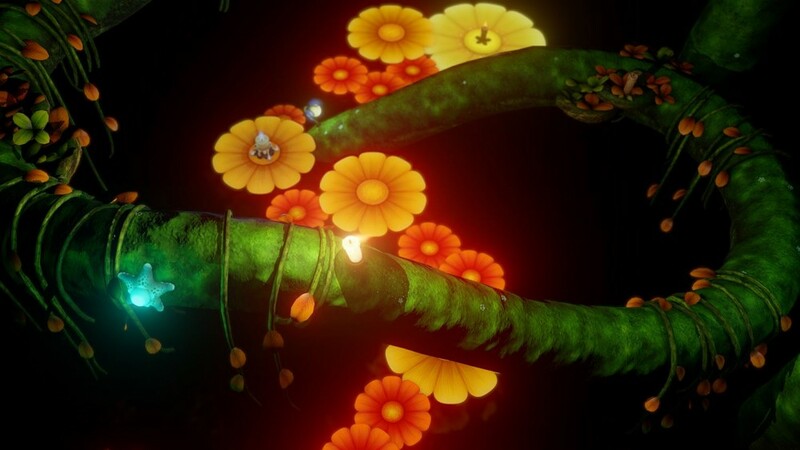 It introduces one of the core gimmicks of the game, the ability to light up an area for no more than 10 seconds, but the story ends up being much more than a simple, lighthearted fairy tale that serves as a vehicle for the gameplay. The end of the game takes some unexpectedly dark turns, but before these twists, the more child-friendly story offers some surprising insight on the role of heroes and self-confidence. The level design – Each level of Candleman is a treat to play because the art design and the level layout are incredibly creative. Each of the nine chapters evolves a singular puzzle type making for a solid sense of progression that helps make each of the levels feel more connected to one another. Each chapter also has a distinct look and feel, which makes each worthy of fully exploring no matter how late at night it is. Also, Candleman has an easy set of achievements, and the only incentive I needed to find everything in the game was the fairy tale art style that drew me in from the start. Puzzles and platforming – The puzzles start off rather easy with solutions being little more than rolling a barrel from one area to another but as the game progresses the puzzles shed their lack of challenge. 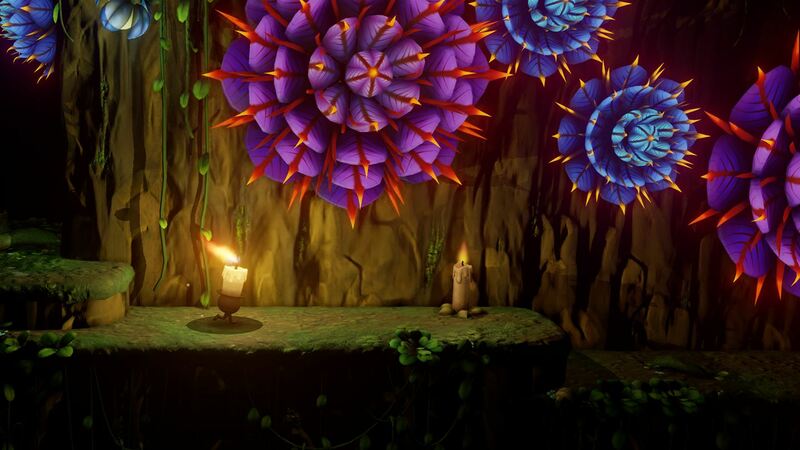 The highlight of the various puzzles in Candleman is their creative nature as they all revolve around light. Whether this means making light bridges that only appear under candle light, or jumping from invisible platform to invisible platform based on the shadow, or any one of a number of innovative light puzzles, it is safe to say that completing the puzzle will be interesting at the very least. The platforming is aided by controls that aren’t too floaty and offer a sense of precision when making jumps. Being able to brighten levels at will for up to 10 seconds also makes the platforming more innovative, as does nearly every aspect of the game that light touches. Slight technical issues – Unfortunately Candleman is not without issues, and the majority of said issues are the result of minor technical problems. Frame rate drops are not unexpected throughout the game, especially towards the end, although they serve as a greater annoyance than they do a threat to successful level completion. I also had some difficulties with the camera as the rotation of the camera is left up to the game. I would occasionally find myself unable to see where I was moving and jumping to which resulted in some untimely deaths. 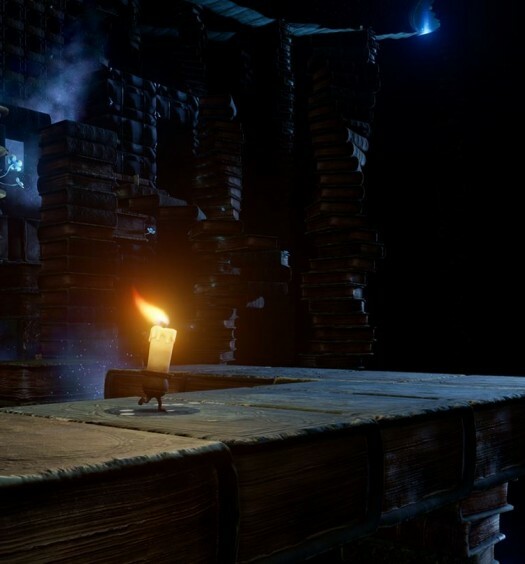 Candleman lights up the night as a unique experience on Xbox One. 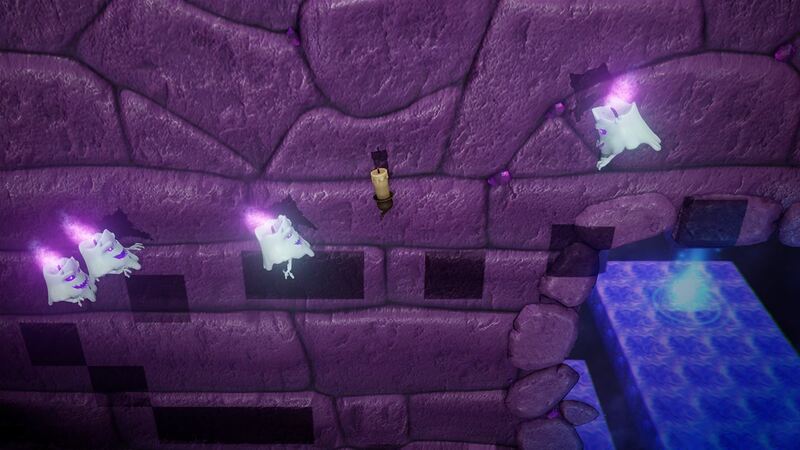 Its use of light makes even the most basic puzzles and platforming challenges a lot of fun to play through. As I became more and more absorbed into the world of Candleman, I found connections with the protagonist that I never expected to share with a candle. And perhaps the unexpectedness of Candleman is that the time I spent with the game felt refreshing. I never found myself needlessly frustrated at the difficulty, rather; I found myself in a constant state of shock and awe as each new part of the journey offered exciting new opportunities. Candleman is a timeless tale meant for nearly all ages only hindered by a myriad of technical issues. Candleman was developed by Spotlightor Interactive and published by E-Home Development Entertainment Ltd. Co. It was released for Xbox One on February 1, 2017. A copy was provided for review purposes. Candleman Spotlightor Interactive E-Home Development Entertainment Ltd. Co.